Before entering the world of Fitness and personal training, I thought that a good workout meant I didn't have to watch what I ate. I didn't understand why I wasn't seeing weight loss even though I was spending more time than ever exercising. You can't out-train a bad diet! Nutrition is so critical when trying to lose weight. A tough bootcamp workout for a solid hour might burn 400-650 calories....but a burger, fries and soda is well over 2,000 for just one meal. You see how that math just doesn't work when trying to lose unwanted pounds. Those are just a few snack ideas - I have a recipe that many of our clients (and their husbands) love, it's called "Twisted Tuna". It's a fantastic healthy spread that you can use on bread for a sandwhich, a whole wheat wrap or with stalks of celery. I like to make a big batch of it on Sundays - and it lasts all week. Combine all tuna together (make sure you drain it)....then combine it w/ entire tub of whipped cream cheese. Stir in the cucumber and chopped onion and that's it! You're done! Super easy, VERY high in protein and low in calories. One serving is actually considered 1 can of tuna....so you can divide this up into 8 servings. Water should be your new best friend if trying to lose weight. It's amazing how many times people confuse hunger for thirst. 4:00 for me is the time of day when I need to drink a big glass of water. If I don't - I find myself scrounging through the pantry for junk...even though I just ate 2 hrs ago, and really shouldn't be hungry. I find when I drink a big glass of water, I am typically not that hungry....just needed to hydrate. Obviously, there are times when my body for whatever reason really does need to eat...but most of the time I just need more water. I shoot for 3 liters a day of water. Especially if you are working out - and breaking a sweat - 90 oz is a good goal. The recommended 64 oz is just not enough if you're working out. The Holidays are over, and now it's time for a NEW start in 2012! Tired of the jeans being tight? Ready to jump start your fitness? Here are 75 tips for weight loss that really work! Are you looking for a weight loss program that works? Do you live in McKinney, Allen, Plano, Prosper, Frisco or N. Dallas? Jump into a 5 week boot camp with Texas Fit Chicks on any Monday and get affordable training and amazing accountability! Our Bootcamp is INDOORS for the winter ~ we don't brave the cold! Texas Fit Chick clients get a FREE MEAL PLAN plus a Full Body Comp from your trainer before AND after your 5 wks to see your results! Huge Weight Loss Competition starts Jan 9 ~ Prize package worth over $800 to the client that loses the most! Lose weight and reach your NEW YEARS goals with Texas Fit Chicks Bootcamp! We wanted to share with you what some of our Frisco, McKinney, Prosper and Plano women have been saying about Texas Fit Chicks Bootcamp! I am in my second session of boot camp, and I love it! They offer a variety of times, so it is easy to find a class that I can attend. Each workout is different - we really don't do the same routine twice. I have seen a change in my body - firmer and inches lost...not to mention that I feel great after each class. It is worth the money spent! Courtney S.
I have been working out for only 2 week with Texas Fit Chicks Boot Camp in Plano! As a newbie, I have felt instantly welcome (and sore, I might add). The workouts are super fun and they change each one up so much that you don't EVER get bored. I would highly recommend getting up early to work out! I feel so much better all day after my work-outs! I can't wait to start seeing some awesome results!! I also really like working out with only girls! Takes all the pressure off! Amy S.
I joined Texas Fit Chicks last Aug 10' love every min of it and never wanna stop. I have to say I was super nervous about joining. Joining was the best thing I ever did. I noticed changes in my body after the first couple of weeks. I feel like a new person. It doesnt matter how big, small, out of shape or whatever, they will be right there guiding you through the workout. Its a very postitve amosphere and tons of support! I LOVE MY TEXAS FIT CHICKS!! Justina T.
After joining Texas Fit Chicks in June of this year, I've heard the following comments -- it's only August, don't forget: "you are hotttttt" (posted on my FB), "Trina, you look amazing", "hot momma", "if I join boot camp, will I look like you?" I could actually go on, but you get the point: I LOVE TEXAS FIT CHICKS. I've been working out for three years -- some boot camp(s), some personal training, so I won't lie and say I was huge or needed to lose weight. However, I'm more tone now than I ever was in my 20s and 30s! I even have a "two-pack" now and can't wait to make it a six-pack :) The first 5 weeks of class, I lost more than 8", five of which were gone from my waist!! I feel so strong, too! When my friends heard that, they asked where I had room to lose it from based on the size I was already, but I can tell you that when they see me in person they are FULL of compliments. I can't tell you what Texas Fit Chicks has done for me mentally as well as physically. I feel like I can do anything!! Thank you Texas Fit Chicks and especially LeighAnne (Mckinney 5am and 6am bootcamp trainer)!!! 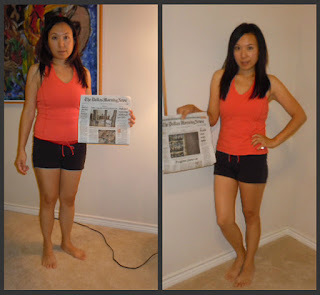 Trina H.
I spent 5 weeks with Texas Fit Chicks Bootcamp, and I lost 4" off my waist, 1" off my arms, and I finally have a shape! (Other than round, I mean.) My hubby has noticed, my kids are impressed, and I can't WAIT to get back to Texas Fit Chicks! The best investment you'll make is in yourself, and Texas Fit Chicks Bootcamp is the quickest way to get the body you want. The trainers ROCK!!! Kara B. Down 7 pounds and 8 inches in 5 weeks! Texas Fit Chicks has been such a great experience. I have attended a couple different locations and every trainer I've had has been wonderful! As someone who has never been especially fit, it's great to finally be enjoying a workout. The support from the trainers and my fellow fit chicks has made all the difference. I have a couple of friends who have signed up after seeing my results, and I truly can't say enough good things about my experience with Texas Fit Chicks. I'm already signed up for two more sessions, and hopefully many more in the following months! Kelsey A. Free FiT Tips Daily On Facebook! "Bootcamp has helped me on many levels...outside of getting stronger as the weeks pass by, I feel better. I feel healthier, stronger, more energized, sleep better, and all those things that come with working out. But I also think it has added structure in areas where I was lacking it. I've started really considering what I consume and put in my body these days where I had never really given a thought to it in the past. I've seen results and in those results it makes me want to work harder and get in even better shape. I would definitely recomment TFC to friends and family...even strangers! I thoroughly enjoy the workouts!" "Joining Texas Fit Chicks Boot Camp has been a life changing experience for me. I have finally found the motivation that I was lacking for so many years. I was very nervous when I joined boot camp that I would not be able to keep up in the classes. From the first day of class I have felt comfortable and confident in my abilities. The trainers show you different levels for each exercise and allow you to increase to the next level at your own pace. I also enjoy how every class is different and the exercises are fun. After 3 months I have lost 24 lbs and 18 inches. I could not have done it without Texas Fit Chicks Boot Camp." - Brooke R.
"I was really really nervous about starting this boot camp. I didn't think I'd be able to handle the level they worked out. It's been a great experience so far. Melody assured me I wouldn't feel uncomfortable (I'm REALLY shy), and although I was still hesitant, I gave it a shot. She was right. I haven't felt uncomfortable one time. I've been able to work out at the level that feels right for me. I can already see a difference in my body and have only gone 4 times so far! I already can't wait to sign up again." Danielle O. Sometimes women are nervous that they won't be able to "Do bootcamp" because they feel like they're not fit enough. I can't tell you the number of times that I've heard the following: "I need to start working out so that I can do ok once I start with Texas Fit Chicks." Nothing could be further from the truth! We show each exercise at beginner, intermediate and advanced levels, so it's truly do-able for anyone regardless of Fitness level. We make working out FUN and EFFECTIVE. Our number one goal is for YOU to reach your goals. Our Female trainers are all experienced and experts in our field - with national certifications. We will never try to sell you supplements, Shakes or anything else. Just result Driven workouts. We love training chicks in McKinney, Frisco, Plano and Prosper ~ and have women that drive from Allen, Prynceton and Dallas to join our bootcamps! Jump in on any Monday that works for you...and with the flex option you can do bootcamp even if you travel or have a changing schedule from week to week. We know you have other options when it comes to working out ~ and if you've not been one of our Fit Chicks yet, we wanted to let you know WHY you should choose our bootcamp, and what makes us different than the rest! Instructors that are ALL nationally certified Personal Trainers. This cert requires much more in depth study than the group fitness cert. You can be confident that your trainer knows what she's doing and can also address any health issues or concerns you may have when working out with us! Our philosophy ~ we think that it's unnecessary to scream at people when trying to motivate them. That will never happen in our bootcamp. We don't use whistles, intimidation, or (heaven forbid) megaphones to encourage you to work hard. Our clients experience amazing results without that! There's just no need for it. We motivate, encourage and inspire and that's what our clients love. Amazing workouts! We have dozens of women that stay with us year after year because they never do the same workout twice. Melody creates workouts for all of our locations, and incorporates Kettlebells, Medicine balls, resistance bands and more to keep it fun, and you're always guessing what's coming next. Perfect for every level! Our trainers teach you how to modify each and every exercise we do, so that it's appropriate for every fitness level. All women. There's never any problem if your shirt is riding up your back doing the beloved mountain climbers ~ since it's just women there! Many times male-led camps don't focus on what women really want to work, or they overtrain clients which leads to injury. I've heard from too many clients that tried a male-led bootcamp and have had that experience. Consistency. There are lots of bootcamps that pop up overnight, and go away just as fast. Texas Fit Chicks has been going strong since 2009, and all of our trainers have years of training experience. We aren't going anywhere ~ and you can count on a great workout every single time we meet. We are INDOORS for the winter ~ and if there's rain. Not in a parking garage, not under a canopy, inside a climate-controlled bldg. Even if there's not lightening, we won't ask you to workout in the rain (unlike others) - we don't want to do that, and don't expect our clients to do something we wouldn't do ourselves! Affordable Accountability ~ If you're not in class, we will email you each and every time you miss. You're not just a number to us, we want you to reach your goals as much as you do, and to get there, you've got to be there! You will always hear from your trainer checking in on you, and we miss you when you're gone. We make it FUN! You will make friends, laugh, work, and meet other chicks that have the same goal as you do ~ to get healthy! Our bootcamp makes it easy to form great relationships with other women. Just want to do ONE 5 wk session with Texas FIt CHicks? Locations in McKinney, Allen, Prosper, Plano and Frisco Texas! Early morning bootcamp and evening bootcamp available. Limited Space ~ Reserve your spot today! Combine all ingredients. Cook on low 6-8 hours. Shred chicken & serve. Good with low fat cheddar cheese or light sour cream on top. Optional- place sliced onions on bottom of cooker along with minced garlic. Place chicken breasts in cooker. Pour can of broth then 1/2 cup fresh rosemary. Salt & Pepper to taste. Stir around to get the rosemary all over the chicken breasts. Cook about 6 hours on low. Served with brown rice and steamed green beans. Put your chicken in the crock pot. Top with the rinsed black beans, salsa, and corn. Cover and cook on low for 6-9 hours, or on high for 4-5. Cook beef and garlic pepper in 12-inch skillet over medium heat 8 to 10 minutes, stirring occasionally, until beef is brown; drain. 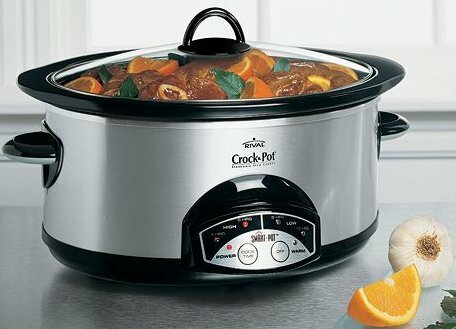 Spray 3 to 4 quart slow cooker with cooking spray. Mix beef and remaining ingredients except buns in cooker. Cover and cook on low heat setting 6 to 7 hours. To serve, fill buns with beef mixture. Place the peppers & onion in a 5 qt slow-cooker.Top with beef. Combine the water,vinegar,lime juice & seasonings; pour over meat. Cover & cook on low for 8-9 hrs or until tender. Using a slotted spoon,place about 3/4 c. meat mixture down center of each tortilla. Top with 1 tsp. salsa,1 tbsp cheese, & 1 tsp cilantro;roll up. 1 fajita equals 335 calories,10g fat(3g saturated fat),69mg cholesterol,564 mg sodium,32g carbohydrate,2 g fiber,29 g protein. Place pork tenderloin in the slow cooker with herbs and spices. Pour broth, wine, and soy sauce over the top, turning the pork to coat. Combine all ingredients except the rice in Crock-Pot. Cover; cook on Low 8-10 hours, High 3-4 hours) Add cooked rice before serving. Brown meat w/spices & taco seasoning. Pour into Crock pot w/other ingredients and stir. Cook for about 4 hours on low. Serve w/baked tortilla chips. Brown chicken pieces and onion in oil; sprinkle with salt. Add browned chicken, onions and other ingredients to crockpot. Cover and cook on LOW 5 1/2 to 7 hours. If desired, thicken juices with a mixture of about 2 tablespoons cornstarch combined with 2 tablespoons cold water. In a large mixing bowl, combine all of the ingredients. Toss well to coat the chicken evenly. Place the mixture in a slow cooker. Cover & cook on low for 4 hours. If desired, serve over rice or orzo. Holiday parties can undo a week of hard work at bootcamp if you're not careful! It's no wonder that this time of year so many people pack on the pounds, but our Texas Fit Chick trainers wanted to give you some tips to surviving the Christmas parties without feeling deprived! We asked for our trainers input on how they attend parties without going nuts on the treats and here's the TOP 5 answers we got. By far the NUMBER 1 suggestion to avoid over-indulging was to eat BEFORE you go! When you eat before the event, you're not going in starving and ready to hit the food. Fill up with a good source of lean protein or fiber so you'll stay full longer. Get FIT in 2012 with Texas Fit Chicks Bootcamp! Myth: If I exercise, I can eat whatever I want. Reality: Many people overestimate the number of calories used during exercise. For example, a 175-pound man burns about 140 calories on a 30-minute walk. However, if that same man sits down after his walk and eats an energy bar – which has about 250 calories – he loses the calorie-cutting benefit of exercise, and then some. Remember, to lose weight you need to use more calories than you take in. Myth: If I have no energy for a workout, it’s best to rest. Reality: Working out gives you energy! Plan your workout for the times of day when you have the most energy. Go to bed earlier to make sure you’re getting enough rest. Myth: To lose weight, I should only focus on aerobic exercise. Reality: While aerobic exercise helps you burn calories, strength training helps you reduce body fat, increase your lean muscle mass, and burn calories more efficiently. It’s also important to stretch and exercise your core muscles for flexibility, balance, and good circulation. Myth: I should push myself to the limit to get the benefit. After all, as the old saying goes, “No pain, no gain." Reality: Exercise shouldn’t hurt. Muscle soreness after a great workout is okay, working through pain is a path to injury. Myth: I should drink a sports drink when I exercise. Reality: It’s important to stay hydrated when you exercise, but zero-calorie water is often the best choice. You don’t need electrolytes and carbohydrates found in sports drinks unless you are doing vigorous exercise for more than 90 mins. Don’t let these and other myths about exercise sabotage your workout. Our trainers at Texas Fit Chicks Boot Camp will help you reach your fitness goals through our Womens only bootcamp! We Train REAL Housewives in N. Dallas ~ with locations in Allen, McKinney, Prosper, Plano and Frisco Texas. Like us on Facebook for Exclusive Deals and Fitness Tips! Holidays and Fitness - Why Weight? Texas Fit Chick Sylvia wrote this great blog that I wanted to share with you about the holidays and her own personal insight...I think you will enjoy it, and find it inspirational! It's that time again, people. You just finished eating the last of the Halloween candy and are starting to salivate over the Thanksgiving menu. You will load up you plate and go back for seconds as your stomach is screaming, "No more!" Then, there are the Christmas parties that begin the first weekend in December. Not to mention the frantic Christmas shopping. You are so rushed, you just grab something quick on the food court. Finally, Christmas comes along and it is a replay of Thanksgiving. As you are laying sprawled out on your couch, unbuttoning your pants, you begin hating yourself. You start listing your New Year's resolutions in your mind. If you are super motivated, you write them down. "December 1st brings a brand new me!" I have to ask. Why are you waiting? Last year, I began my 30+ pound weight loss the day after Thanksgiving. I got up on Black Friday and didn't hit the sales - I hit the gym. That feeling in a deserted gym brought on such pride that it was almost sinful. I felt liberated. I was liberated from that woman that sat on the couch depressed about the person she had become... The unhealthy, clinically overweight, lazy individual. It was time to ditch the excuses and do something... NOW. For me, that "now" was after a gluttonous Thanksgiving. What is keeping you from taking action now? Why are you going to wait until the New Year? Think about how far ahead you will be if you start now? Don't be one of those people that says, "I'm going to do as much damage to myself through the holidays and start fresh on January 1st." DON'T BE THAT PERSON. Do not disrespect yourself enough to allow that to be your plan of action. There are so many things you can do for yourself this holiday season. Decide to place smaller servings on your plate. To help you with this, switch your dinner plate for a lunch or salad plate. Take a walk around the neighborhood after the holiday meals. During your holiday shopping, put some healthy snacks in your purse to fend off the desire to hit that food court. Sip on water while you are looking for that perfect gift for Aunt Susie and you won't get into that hunger mode. I am not only writing this for my readers, but for myself, too. This injury has had a bigger effect on me than I would like to admit. The cookies, the sodas, the hours of television watching are slowly morphing me into that woman I never wanted in my home again. So, I am taking action once again. I am starting NOW. When I sit down with my family on Thanksgiving, I will thank God for my health, my family and friends. I will also thank Him for giving me the strength to make this change. Will you be able to do the same? Thanks for sharing that Sylvia! At Texas Fit Chicks bootcamp, our trainers will guide you in a positive and motivating way to get you to your fitness goals. 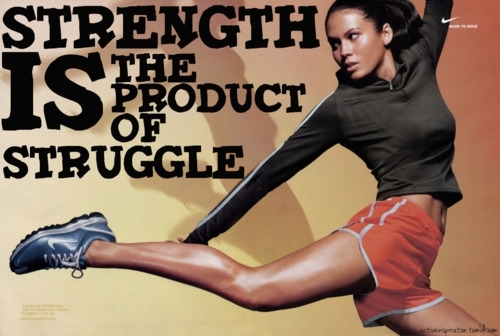 Exercising doesn't have to be something you dread anymore! Our female personal trainers make every workout fun and different, so your body never has a chance to plateau. We use things like Kettlebells, Stability Balls, BOSU trainers, resistance bands ~ and all are provided for you! Texas Fit Chicks also offers a nutritionist created 5 week meal plan to keep you on track with your eating, as well as free body comps before and after your 5 wk session. Formerly McKinney Boot Camps & Frisco Bootcamps, we are now Texas Fit Chicks bootcamp, and have been around serving women since July 2009. We offer locations in Mckinney, Allen, Plano, Prpser and Frisco. When it comes to our self image, sometimes bad habits and poor nutrition take a toll. While we help women lose weight and keep it off at Texas Fit Chicks Bootcamp, our self image shouldn't just be based on how we look in our clothes...or the number on a scale.I found this article and wanted to share it ~ thought it was full of great suggestions to remember ways to love ourselves during our journey in life! Only the time and attention we give ourselves demonstrates how much we love and admire ourselves. Self love requires that we place ourselves at the top of our priority list. Self-nurturing is everything that makes us feel positive, happy and joyful. When we decide to honor ourselves with the love we need and deserve like the sun we radiate a glow, touching everything and everyone in our lives. 58. Run towards your fears. 54. First meet your own needs. 53. Notice the beauty around you. 52. Open your mind to change. 49. Go at your own pace. 47. Open yourself to umlimited possibilities. 46. See the humor in things. 42. Be gentle with yourself. 41. Be open to being wrong. 40. Laugh for no reason. 34. Appreciate where you are today. 28. Say no more often. 26. Take mini breaks throughout the day. 25. Create personal affirmation cards, use daily. 24. Hang out with positively happy people. 23. Schedule fun times for yourself. 22. Make your car a sanctuary. 13. Feel and express gratitude. 12. Give up self put-downs. 10. Learn to hold your own hand. 9. Accept your physical appearance. 7. Vent in a positive way. 6. Speak kindly of yourself. 4. Learn to calm yourself. 2. Make the most of every opportunity. 1. Start fresh each day. Cecilia was the final winner of our Belly Blast Challenge! For those of you that don't know, it's a 21 day meal plan that gets results! After her success, I asked her to share with us just how she did it and what her typical day looked like, and how she did it! Here are her secrets to success, and her before and after pictures from the 21 day plan! On my cheat days, I picked one thing that I liked the most to eat for lunch so I still had time to digest before going to bed. Since my favorite was sushi, I had sushi for my cheat days. When I ate my cheat food, I ate fist size portion (I imagine my stomach is like the size of my fist. I sure don't want to overstuff myself). If I had to eat after 6pm, I ate veggie only with no dip or dressing. Since it didn't taste good, I usually ate a little and I would quit and go to sleep. I drank a lot of decaf green tea to stop my cravings. I brought my thermos with tea in it everywhere so that I could take sips of it when I was hungry. My extra workout was rope skipping. I got this Thrive by Dr Vonda Wright, MD jump rope from Dicks. It is a jump rope without rope so I would not trip and slow down my workout. I liked to watch TV while I was skipping rope because I would forget how long I skipped rope for. I love rope skipping since it helps improving my core strength and heart rate. I usually skip for 20 minutes to 30 minutes a day. I think the top 3 things that I learned from this contest are goals setting, meal planning and enjoying the process. It is important to set your goal so that you can stay focus. And more importantly, you have to think ahead and plan ahead of time of what you need to eat on the next day. I made my food ahead of time so that I could bring it to work everyday. I have saved so much money by not eating out, it is just amazing to see how much more food I can get and how much more money I can save by eating at home. I would highly challenge everyone to do this Belly Blast in the future because there is really nothing to lose except your weight. I am the kind of person who gets bored easily with the food that I eat. So finding a new way to eat and exploring new food is a really fun thing for me to do. It is definitely fun to eat healthy and feel healthy. When you start losing weight, you will probably ask herself, "why didn't I start this belly blast earlier?" Going on a diet doesn't mean that you have to give up burger or french fries, it just means that you have to eat less of those greasy stuff. As you know, you are what you eat! I love the Texas Fit chicks Bootcamp because I need direction when it comes down to working out. I need feedback and I need to know what I am doing is benefiting to what part of my body. In addition to that, I also love to see familiar faces at the bootcamp. I feel comfortable working out with a bunch of ladies who are just like me. We are non judgemental and totally care free. Working out with the Fit chicks bootcamp is like my special break away from my busy work and family. Our one hour of bootcamp passes by so quickly especially with Michelle and us joking around and chit chating. I am now actually looking forward to working out since I love the fun atmosphere and the peaceful mornings! The 21 Day Belly Blast is a Fully digital product that contains printable grocery lists, exactly what to eat and at home workouts. While the 'contest' is over, anyone can start the belly blast at any time.You can purchase and download it HERE for just $29. We have a closed facebook group with tips and recipes from dozens of women that are taking and have taken the challenge ~ to make it easier and tastier! You can be added to the closed group after you've registred and recieved the Belly Blast plan! If you have opened a magazine, turned on the radio, or glanced at the T.V. lately then you know there is an overabundance of weight loss supplements currently on the market. Some claim that you will lose 5 pounds in a week, others claim that you will lose 3 dress sizes in a month, and my personal favorite claims that you will lose 20 pounds in 10 days. Do these pills really have the ability to “melt away pounds” or “burn fat in your sleep”? The correct answer is probably on the tip of your tongue… No! No matter how much we enjoy the fantasy of a magic pill turning us into a supermodel, deep down we know that this is simply not realistic. $30 billion dollar industry thrives on our false hope of miraculous weight loss supplements itching to effortlessly turn us into svelte hard bodies. It is time that we came face to face with the real facts about weight loss as we cast off all misconceptions. In reality, research shows that 95% of weight loss induced by supplements will be gained back in no less than 3 years. (usually much sooner!) The Food and Drug Administration has gone so far as to declare that a weight loss supplement with a proven record of long-term success DOESN’T EXSIST! And to think that billions of dollars are spend on products that are PROVEN to not work! How is this possible? You ask. Isn’t it against the law to make false claims about a pill? These so-called weight loss supplements are acknowledged as ‘food’ by the FDA and are therefore not evaluated for their safety and effectiveness. So you are telling me that weight loss supplements can make outrageous claims without backing them up? Yep. Sad, but true. Most weight loss supplements contain appetite suppressants that have been known to cause reactions in some people that lead to strokes, heart attacks, panic attacks, and even death. Quite often the few pounds that you do end up losing with weight loss supplements are due to the diuretics that they contain. A diuretic is a substance that flushes water out of your body, providing a quick and temporary dip on the scale. Weight loss supplements are expensive! It may be easy to justify the cost to yourself when you believe that your hard earned money is being spent on sculpting your figure, but don’t be fooled! The useless pills cost the manufacturer only pennies to produce, while they charge you an arm and a leg. Next time you see a stunning before and after picture of the guy or gal that lost 200 pounds by taking a certain supplement, beware! There is a higher probability of you being struck by lightening tonight than that claim being true. Most spokespersons and testimonials for weight loss supplements are false, and are only there to entice an unsuspecting public. Weight loss supplement companies admit that their products will not work without the accompaniment of calorie restriction and an increase in physical activity. Weight loss supplements that have been advertised as being safe may cause harmful health effects in some people, according to a recent study. These products -- which are promoted as being ephedra-free and safe for dieters -- have been shown to cause increased heart rate among healthy people and harmful health effects in some people, report scientists who worked on the study. The study by University of California San Francisco is the first to examine the effects of these re-formulated dietary supplements. Researchers examined the effects on blood pressure and heart rate of two dietary supplements containing bitter orange extract. Bitter orange extract has commonly replaced ephedra in weight control products since ephedra was banned by the FDA in 2004 due to concerns about health risks and side effects. The UCSF study involved 10 healthy adults given single doses of one of the two supplements or a placebo. The two supplements tested were Advantra Z and Xenadrine EFX. Single doses of both products increased heart rate by an average of 11 to 16 beats per minute over baseline, the scientists found. This would be the equivalent of an 18 percent increase if baseline rate is 80 beats per minute. In addition, Xenadrine EFX also significantly increased blood pressure by 7 to 12 percent. Xenadrine EFX appears to have similar acute cardiovascular stimulant actions as banned ephedra products, according to their report. "These findings indicate that ephedra-free dietary supplements could have some of the same adverse health effects associated with previously available ephedra products, such as Metabolife 356 and Ripped Fuel," said Christine Haller, MD, UCSF assistant professor of medicine and lead author of the paper. The predominant constituent of bitter orange is synephrine, which in pharmaceutical form is commonly used to treat low blood pressure and nasal congestion. Advantra Z contains only bitter orange, while one dose of Xenadrine EFX contains several other ingredients, including caffeine equivalent to the amount in 3 cups of coffee, the researchers found. The increased blood pressure from taking Xenadrine EFX is likely not due to caffeine alone, they concluded, but potentially related to the actions or interaction of other constituents in the multi-ingredient supplement. The scientists call for longer term dosing studies and suggest doctors should caution patients about using ephedra-free weight-loss dietary supplements and should monitor blood pressure in those who choose to use the products. In particular, people with health condition that could be worsened by the effects,such ashypertension, heart disease or other pre-existing conditions should avoid the supplements. "Consumers should be aware that ephedra-free dietary supplements have not been extensively tested for safety and the health effects are not well known," Haller noted. The research is published in the September issue of The American Journal of Medicine. The sure-fire, safe and effective way to achieve healthy weight loss is…to eat a balanced diet and to participate in regular exercise. Parts of article from a news release provided by The National Institutues of Health.